I like how you can create several different campaigns and see how each campaign is doing. The campaign section shows you how many people have clicked on your campaign, how long you're running your campaign for, how much you've spent/sales, your own budget, etc. It's nice to have a platform that makes it easy to run campaigns while also keeping track of important data so that you can compare your past campaigns to your future ones. I dislike the creative end to it on the stores side. I mainly use Amazon AMS to create and build brand store pages. The creative tools in the brand store page is not as ideal as I hoped to boost my creativity. There are set tiles that you can add different types of content too but the only issue is that the tiles are set in stone so if you want to change to a different tile you'd have to create a new one. The business problems we are solving is organizing our present and future campaigns. Being able to grow and build more brand awareness when consumers click on our brands products. By consumers clicking on our brands products brings more traffic to our Amazon brand store pages. "Offering effective tools and helping me drive genuine traffic"
Actually, Amazon Marketing Services (AMS) offers effective tools helped me stand out against my competitors and drive genuine traffic to my products pages and custom branded pages. Well, unfortunately, I cannot choose which location my Sponsored Products Ad goes on the SERP, So all ads are displaying in only 1 place. As we stated before, The ads are very popular because they’re not only available to vendors, but also to 3P sellers worldwide. Very easy to create and usually approved within an hour. The unlimited number of featured ASINs. "Amazon web service why no use it"
amazon web service have a lot os tools that help a single or beginner company, for a company help a lot because our development team it is helpfull each aws tool like resgister a domain, build a web app and connect an IoT device, the time reduce with de develpoment of a single application is very high, register a domain is so fast. a little tips that amazon web service need to resolve very quickly is when you going to create an account in the step of phone validation is so hard to type de validation code that aws asign us. put more tutorial in your page you are really good in that part, maybe if you put a course of every single part or the connection that we need to do for connect our service, could be a big help. simple time reduce in a development of an application, fast register of my domain and the cost of the server is sheaper that is so good to a little company. "AMS Is a must for retailers "
AMS allows companied to pull real time analytics and find out consumer behavior data. 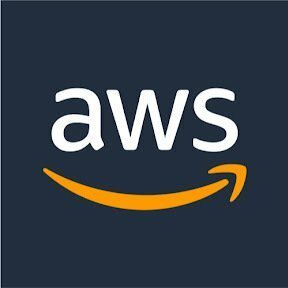 "My experience with AWSknow ." To be honest, there is nothing bad I can say about it. I love hosting my large membership file on it. As well as using the email service. "Best Cloud Platform for development"
Variety of tools and a vast platform ready which supports the developers who could now focus fully on writing the code, not worrying about the infrastructure, middleware and storage issues. An amazing documentation of all the tools and the SDK is just so supportive. Lot of things on the AWS console, still to educate the people about them. "AMS Will Help Boost Sales"
It grabs the consumer's attention because it is displayed as a large banner for everyone to see. I don't dislike anything so far. AMS works well for Amazon sellers. If you want to boost your sales and increase your exposure to the market, AMS is the service to use. AMS makes it so that the products you sell have more exposure to the general public. You can get your products/brand out there . AMS does not have a phone number to call if you need support. If you are thinking to sell in Amazon, I think that is a must have. Now we have more storage and better speed. "Best Marketing Tool for Amazon Sellers"
Ample access to product displays ads on an easy-to-use interface. Gives you the ability to targets your ads around comparable products. Amazon has more control over your listing than some people would care for. Also has limited editing options. Try to use only one kind of targeting method per campaign. Also you cannot edit your ad content once posted, so make sure you are satisfied with your ad content before making your campaign live. Making out product more competitive in terms of the ad space used & the saturation of ads regarding our product. i love that amazon ams allowed me to sell products and advertise them to various audiences. they make the advertising process seamless to the layperson (me) who has no previous experience. ams allows you to go above the average seller and use unique features that really help with sales. As a team, we have found AMS to be extremely user friendly and to offer training and updates that keep it ahead of other options. We really have not found anything negative. Primarily, we are using AMS as a tool for upgrading our IT capability. "My Thoughts on Amazon AMS"
I love the fact that we can keep track of multiple different campaigns and get real-time analytics for each one. Sometimes the platform lags, but everything else is great. Maximizing exposure to our campaigns and seeing which campaigns are more effective has been made easier. "Great service to promote your product"
The best thing about Amazon AMS is that it gives us a great opportunity to get our products ahead of others brands on Amazon.com. Also the Target options are really a fantastic feature - with the possibility of automated or manual. Amazon AMS is a great service that helped us stand out against our direct competitors! Not a fan of the new rule where the headline banner text has to be in sentence case. Can't capitalize the first letter of each word. It's essential, gotta get it if you sell on Amazon. Getting more impressions and exposure for the brand as well as more sales. Everyone uses Amazon so our product is at the fingertips of so many people constantly. We don't have to worry about attracting a specific type of audience, because they are looking for similar products and are driven to our product as well. I wish the reporting features offered more. Learning what drives our customers to our site and how to tailor our audience. "Best marketing service by amazon the brand you trust"
AMS hasvery much helped our company with targeted ads and campaign monitoring! "Valuable service and high quality"
Great uptime and customer service in our experience. We didn't have much we didn't like. 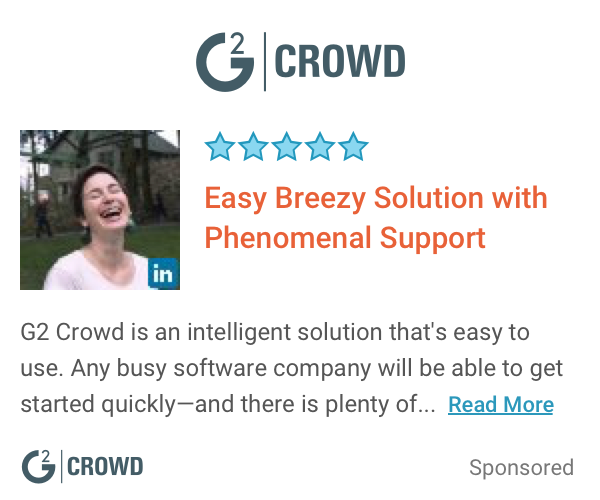 I guess a drawback would be the higher technical expertise you should have over another web or app hosting provider. "Great Product for my company"
this helps our company stand out against competitors. Makes our marketing and sales life's easier to boot sales easily. This was a relatively easy and painless setup for a virtual machine, cheap as well. I didn’t like that it was hard to operate windows servers on my Mac. I was able to run programs for clients 24/7. "Demand Side Platform Good and Bad"
Low Maintenance. I do not have to do much. No phone number to call if you need to speak with anyone. Range of services, reliability, security. Costly if not careful with deploying on various AWS services! * We monitor all Amazon AMS reviews to prevent fraudulent reviews and keep review quality high. We do not post reviews by company employees or direct competitors. Validated reviews require the user to submit a screenshot of the product containing their user ID, in order to verify a user is an actual user of the product. Hi there! Are you looking to implement a solution like Amazon AMS?